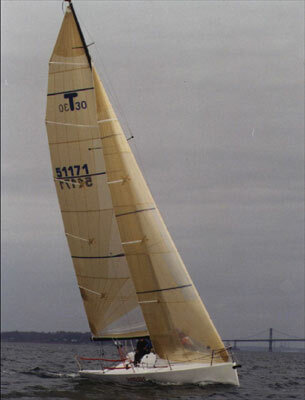 The THOMPSON 30 was designed to compete in the 30 ft sport boat division in the Australia. Trailerable and easily launched via a crane or ramp. The first boat sent to the US for Chris Bouzaid was a race winner. Asymmetric spinnakers with articulating and retracting pole. Spars – Carbon fiber mast with aluminum boom.